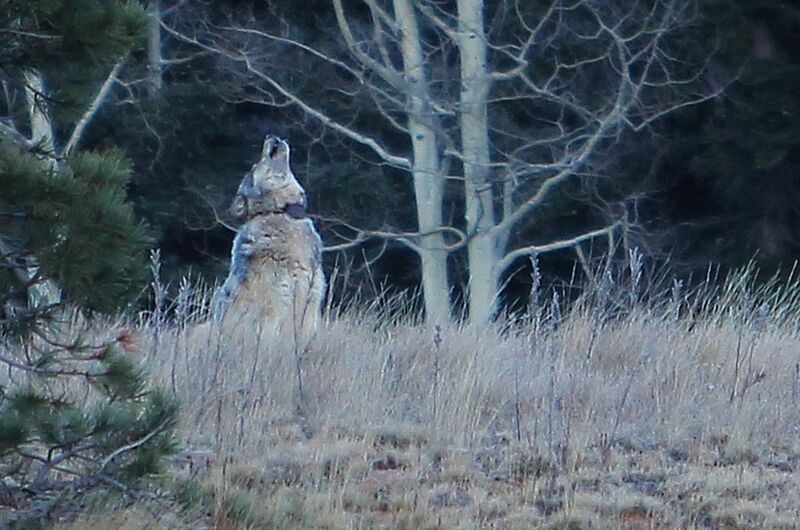 This female wolf wandered from Yellowstone to the Grand Canyon. 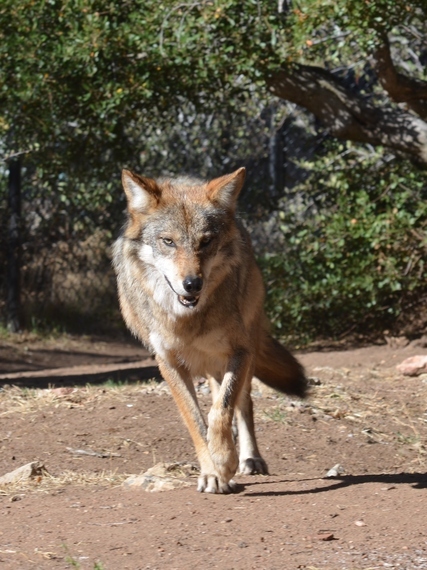 Photo courtesy Arizona Game and Fish Department. 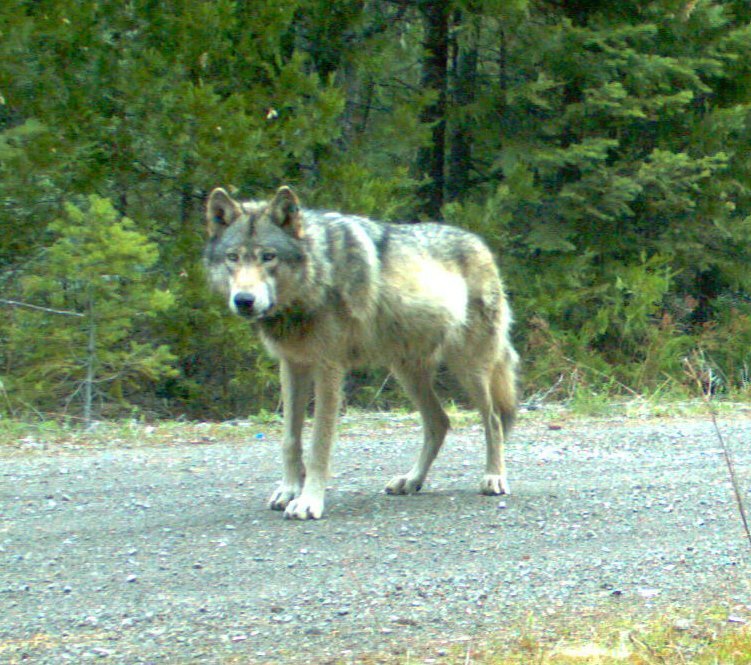 Remote camera image of wolf OR7, nicknamed Journey, in southwest Oregon, May 2014.